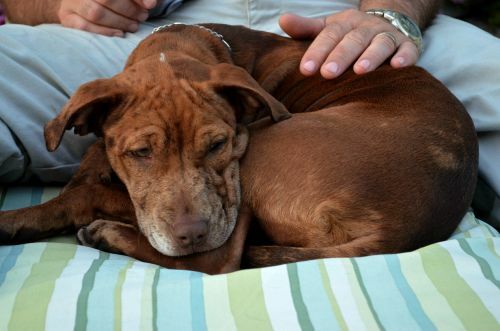 Catahoula Rescue-Ontario: Meet Tulla ADOPTED! Tulla is 2-3 month old Catahoula/American Bulldog mix. She’s very affectionate, a real cuddler – likes to be near you but also is curious and enjoys exploring the yard or the neighbourhood when out walking. She’s completely housebroken, and follows a pretty regular routine of going out after her meals, as well as being out in the yard most of the day. She sleeps in her crate and goes from 11PM until 7AM without a problem. She also gets fed in her crate, and now when she sees the bowl she will dance around (we’re working on getting her to sit) while it’s being filled, then run to her crate and wait for her meal. 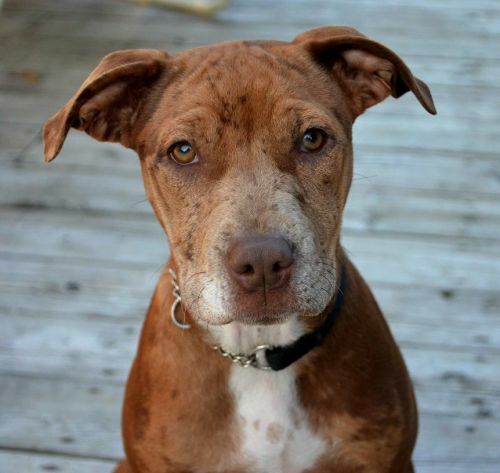 She is a very energetic pup – needs lots of exercise, which she gets by playing with Cajun (our other Catahoula cross) and walks. 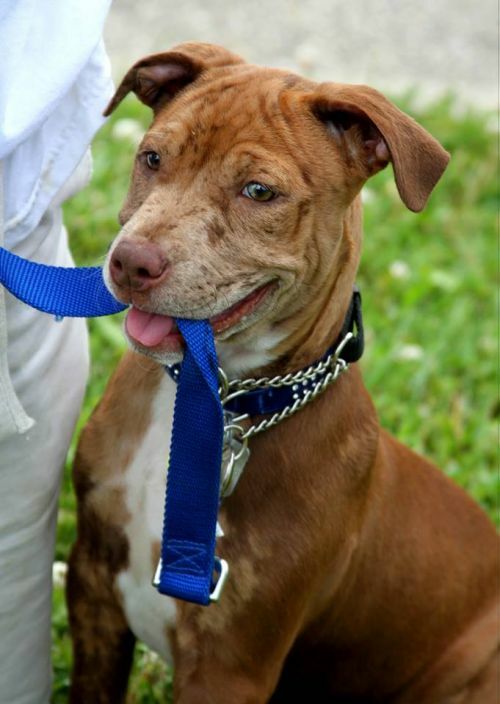 She’ll play tug-of-war with her human, as well as with her doggy friend, and will fetch a stick, ball, or toy! She loves water – will play in her kiddie pool and chases the water from the hose. She’s pretty fearless – the vacuum and the lawnmower, even though loud, hold no fear for her, and she has to be reminded that the broom and the mop are not toys! She gets on well with our cat, and mainly leaves him alone, not chasing or trying to play with him. She’s been to the stables and is not afraid of the horses, nor the potbellied pig, and had a great time - running around a course of jumps with Emily on foot, she jumped them rather than going under! I could easily see her doing agility with the proper training. Obedience training will be very good for her, she needs to know the rules, but once she does she’s happy to follow them. As of now, she will sit very nicely, knows “down” to lie down and “off” to leave things alone, whether it be something in her mouth that shouldn’t be (put your shoes in the closet!) or jumping up. We’re working on “Stay”, and her recalls are good, although sometimes if she is actively playing with the other pup it will take a couple of calls to get her to break it off. She’s teething right now and loves ice cubes to chew on, as well as deer antlers and bones. She will give up a bone to a human. She’s a very smart, energetic, loving girl, likes to please when she knows what’s wanted from her, and is a real joy to have around.